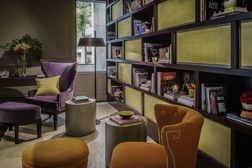 March 9th 2015 – MGallery, Accor Collection of memorable hotels, proudly announces the opening of The Brick Hotel Buenos Aires in Argentina - an event that illustrates the beginning of the brand story in the Americas. The Brick Hotel Buenos Aires embodies the special allure of the MGallery Collection and offers an authentic, alluring luxury experience. The address features 175 elegant and spacious rooms, including 17 suites, each reflecting the hotel’s special spirit and welcoming décor. Each MGallery hotel is inspired by one of three atmospheres: heritage, signature or serenity. The Brick Hotel Buenos Aires stands in the “signature” category for its incomparable style, the perfect combination of European and Argentinian elegance. Nestled in the city’s prestigious and historic Recoleta district, The Brick Hotel Buenos Aires is named for its grand brick façade, which is distinguished from the neighborhood’s neoclassical architecture. Its utilitarian architecture style recalls Buenos Aires’ brick warehouses, factories, train stations and ports, while simultaneously reflecting a contemporary style with feeling of freshness and warmth. With its genuine identity and contemporary lines, the hotel highlights the best of European heritage, inspired by its Argentinian roots. 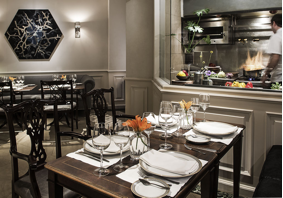 The Brick Hotel Buenos Aires recently completed its first set of renovations, and the hotel is imbued with a modern atmosphere, a striking personality, and a strong imprint of local art that adds a touch of magic to the spaces. Design inspiration from the local culture adds to the space’s unique personality, as do the décor’s combination of neutral and modern tones with marble floors, columns and lowered ceilings. Upholstered furnishings provide a refreshing pop of color, influenced by the norteña culture and a selection of European genres. The hotel offers guests a true insight into Argentina through different elements that reflect its origin: earthy colors, beige and gray accented with touches of terracotta; noble materials: metal, oak, mahogany, glass and leather; local fabrics of woven cotton and silk. The Brick Hotel Buenos Aires’ 175 rooms reflect the personality of the hotel, and every detail is chosen to enhance the overall guest experience. Comfortable and welcoming, certain rooms offer magnificent views of the city, while others look out to the magical indoor gardens – a luxury in the heart of the bustling city. Below a central skylight, The Lounge was designed as a space for tea or for breakfast, and a sculpture of colored glass creates a relaxed and serene atmosphere. Available there is the menu from the Patisserie, managed by renowned chef Beatriz Chomnalez. Teatime becomes a unique ritual in this elegant space, and the tea and desserts a spectacular experience at any time of day. The Living Room is an inviting space at The Brick Hotel Buenos Aires, and an essential area of the hotel where guests can meet in a cozy place for a quiet conversation, an enjoyable moment or a little bit of privacy. With its exposed brick wall, sofas and overstuffed chairs that combine different fabrics and leathers, the atmosphere is warm and inviting. Located next to the Living Room, The Library is a warm and welcoming space with a large selection of art books that feature topics related to Argentina, and Buenos Aires in particular. The country’s great authors are included in the selection that is available to guests and visitors. The contemporary space has warm lighting and velvet curtains, with a monochrome and elegant color palette highlighted with strong orange and violet accents. Located in the center of the space, The Gallery features an impressive sculpture by Argentine artist Gerardo Wolgemuth, and other works from Argentine artists are permanently on display. 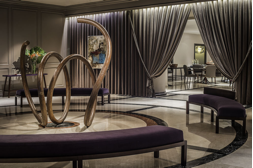 Velvet-upholstered benches with curved and simple lines are assembled next to the sculpture, while velvet curtains – illuminated from above – circle the area and open towards the hotel’s dining area. The Brick Kitchen, the hotel’s restaurant, combines contemporary and local elements for a fresh and modern take on Argentinean cuisine. The restaurant's chef, Germán Italo Ruberto, is noted for his straightforward and precise style that captivates guests with dishes that are simple yet big on personality. With terroir products, seasonal ingredients and European techniques, the menu offers a varied selection of flavors, textures and colors for every course, from appetizers to meat and fish. The Brick Kitchen was also recently remodeled, and it welcomes more than 50 people within its elegant and sober environment, dominated by white colors with gray and black upholstery. It also features a large window where guests are invited to observe the movement and energy of the kitchen. 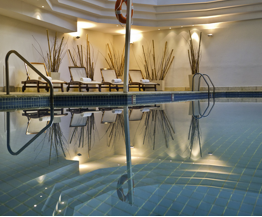 The Brick Hotel Buenos Aires also features a fitness center with indoor heated pool, gym, sauna and body and facial treatments. Also prepared to welcome meetings and events, The Brick Hotel Buenos Aires has four fully equipped boardrooms and personalized assistance, and 7 meeting rooms, with a total capacity of 400 people, for all types of events both social and corporate. MGallery is a Collection of more than 70 high-end hotels throughout the world belonging to the Accor group, the world's leading hotel operator, over 3,700 hotels and 170,000 employees in 92 countries. "Consideration" –their personnel take pride in offering guests respect, recognition and personalized service.